You are here: » Home » North America » Be Careful! You Will Be Watched by the Dolls on this Island! Be Careful! You Will Be Watched by the Dolls on this Island! Are you happy to test your nerve? If happy, try to just come to the Island of the Dolls in Mexico. 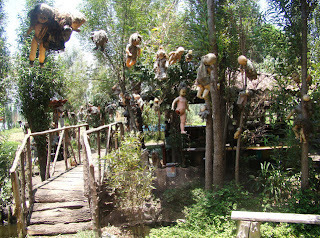 The island has thousands of spooky dolls and unkempt hanging around the island. All the people shiver made. 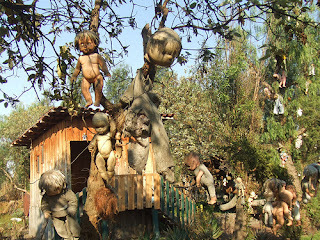 Island of the Dolls is in the Xochimilco, Mexico City, Mexico, so be visited from Wikipedia. It is a region that consists of several artificial islands are owned for personal use. Dolls island inhabited by a man named Julian Santana Barrera. Julian has a private, secluded and reclusive. Until one day, he found the charred bodies of a woman who washed up on the shores of his island. Felt sorry, Julian hanging doll as a sense of respect for the dead woman. Julian seems to be addicted to collecting dolls and then spread throughout the island. The small island began enlivened by the appearance of dolls hanging on the tree, garden to the house. Not just stuffed full, Julian also hang pieces stuffed like feet, hands as well head. Julian just off the island to supplement their doll collection. Although the collection continues to grow, he does not care for the dolls. It made it look creepy dolls. Especially when Julian finally died in 2001, the dolls increasingly unkempt. The island was so empty. But now the island become one of tourist destinations. Tourists who like to test the nerve would be happy to come here. Stuffed with black face and a dull outfit will greet the tourists who come there. The series looks carelessly hanging dolls and creepy. 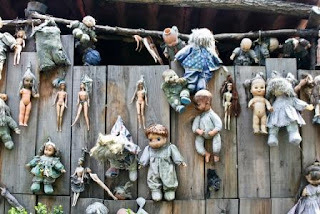 Some tourists say they often feel being looked at by the eyes of the dolls that were there. For some reason, the doll here has spooky and mysterious eyes. There is a stand with a mysterious eye, but some are not resistant to the island and out in a hurry. If you're curious, you can directly come to the Island of the Dolls while on vacation to Mexico. Article : Be Careful! 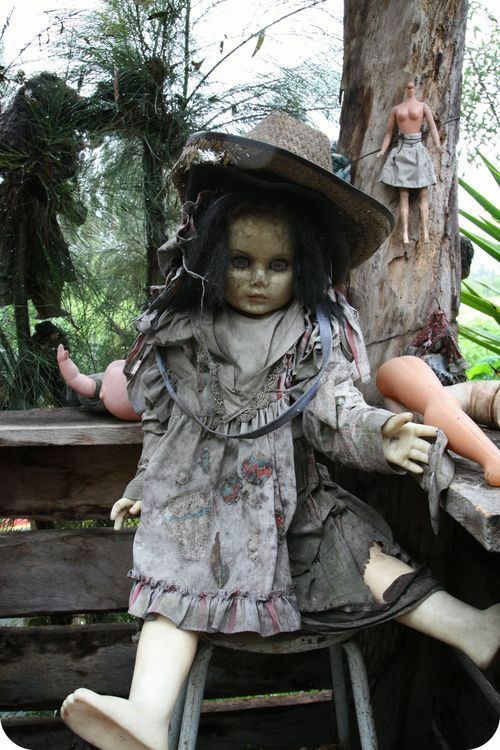 You Will Be Watched by the Dolls on this Island! 0 Respones to "Be Careful! You Will Be Watched by the Dolls on this Island!"